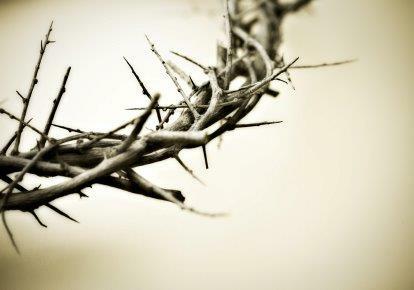 February 24, 2012 by Melinda Viergever Inman, 2 Comments, in God's Love, Why serve Christ? In concert with God the Spirit, our Savior spoke the universe into existence after the Godhead had formulated Plan A, the only plan. Though Romans, Jews, Passover, and crosses did not exist in the predawn of time, they would. Christ would lay his life down on a Roman cross during the Jewish Passover. It was the plan. God the Father loved humanity before God the Son had even crafted and breathed his life into us, loved us in a way we can’t even begin to comprehend. We would sin. His Son had to die. That was all there was to it. The price for our sin had to be paid. Because God is perfectly just and holy, our sin had to be cleansed so we could be reconciled to him. We had to be redeemed—the cost was Christ’s blood. The Son was all in; he was fully invested, a member of the planning committee. He would not sit idly by as we partied, fought, and clawed our way to hell. No, he would leave his rightful place in heaven, come down here, and do something about it. Of course. That is who he is. So, my non-liturgical, nondenominational, Protestant self pauses this Lenten season to contemplate God’s love as shown in the sacrificial death of Jesus his Son. I’m not just coasting into Easter this year, only aware of it when it’s time to buy the ham and the Easter candy. If I can set up a tree, string lights, buy gifts, and sing Christmas carols for a solid month before celebrating my Savior’s birth, surely I can ponder on the gift of his death, his purchase, his agony, his mercy, and his resurrection that clenched the deal. This year, I’m smearing on the ashes. The year I taught at St. X, I had ashes smeared on my forehead. It really, really makes you aware that you are going to recognize what Jesus did. But not for just that half-day on the cross, as awful as it was, but from the foundation of the world! Thanks for writing this. It gives all of us time to pause and consider what Lent is all about! It’s about time!